Compliance with FCA regulation has certainly held dealers collective feet to the fire over recent months. However, the changes required really not be as onerous as many dealers fear. It is a belief founded upon many years in financial compliance, notably in the motor industry and exposure to the FCA. With a measured and positive approach, compliance can be quite straightforward. This applies equally to the development of the required processes and the application for authorisation. Working with a wide range of dealers from major groups to solus operators has enabled us to see that the fear about change is worse than the reality. Having audited current processes and procedures, developing appropriate action plans has largely taken place seamlessly and successfully. The changes required are not simple tick boxes, nor should the quickest, easiest solution be seen as the best change. It is as much, if not more, about the people as the systems. Appointed Representative status may appear quick and easy. However, to date there is limited option in the market. If for any reason this option was no longer available, or had limited access to finance providers, then the impact upon a dealer could be significant. FCA authorisation and compliance does not need to be onerous. The greater change is the cultural one that will need to evolve to create a customer centric and commercially successful environment. Our experience to date is that these need not be mutually exclusive. 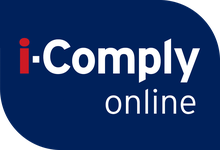 Tara Williams is Director at i-Comply-Online and has over 17 years of experience within financial services, notably within the automotive retail sector.